Serving: Ct – Connecticut and beyond. Danny Diamond provides age appropriate magic for events large and small in Connecticut and the surrounding areas. You might see Danny Diamond performing his comedy magic or balloon twisting at schools, parties, corporate events, libraries, festivals and fairs, restaurants, and more. Specializing in children’s and family entertainment, Danny has a range of performance shows, each suited for the age range of your guests. 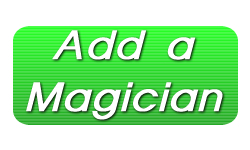 Call today or visit the website for more information on Danny Diamond Magic.